✻ T u m b l e d S T O N E S ✻ PREHNITE. 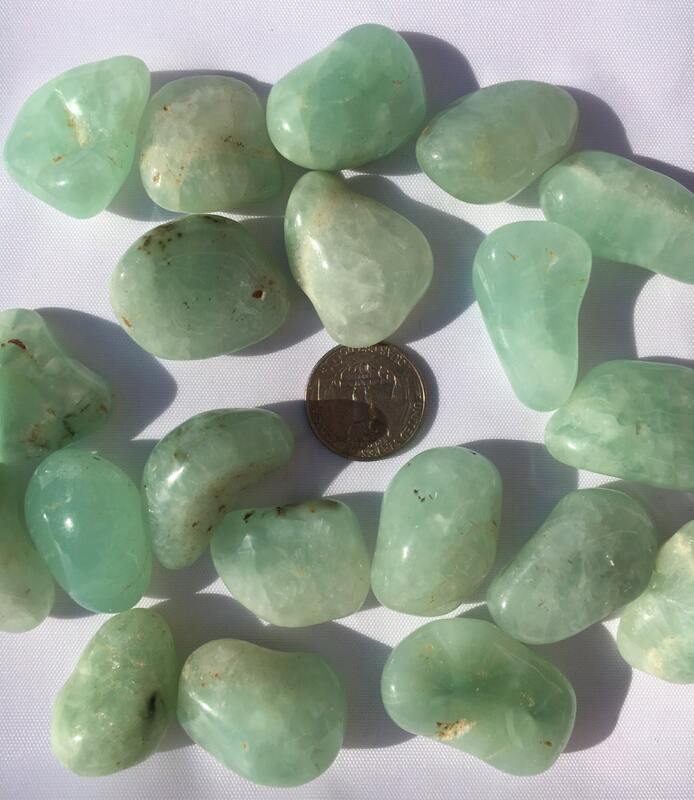 Prehnite promotes inner peace. Promotes union of the heart and the will. Stone of unconditional love. The crystal to heal the healer. Enhances the visualization process, great for meditation. Enables you to always be prepared. Helpful for de-cluttering. C h a k r a s: 3rd (Solar Plexus) and 4th (Heart).